Fluctuations in body weight is not uncommon among adults. It is not unusual to see the body weight change by 1 or 2 pounds within 24 hours. However, any sudden weight gain beyond a few pounds that occurs within a few days or even a week may be a sign of some underlying problem. It is usually not due to fat accumulation but as a result of feces, fluid or food. These are the same three reasons that our body weight may fluctuate within a 24 hour period. 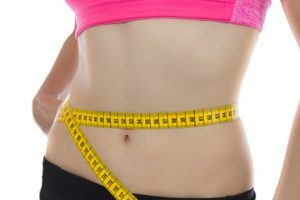 Is sudden weight gain caused by fat? Obesity is a global problem and often due to the modern diet that is high in calories with insufficient physical activity. This results in increased body fat. The accumulation of this body fat is the reason for the abnormally high body weight that is seen in the global obesity epidemic. However, obesity is not an overnight phenomenon. It occurs gradually over months and years. Sudden weight gain that occurs over a few days to a week is therefore not due to fat accumulation. It is important to note that some of the reasons for sudden weight gain, like overeating, can contribute to fat accumulation over time. As mentioned, our body weight is not just impacted by fat accumulation but also by food, fluid or feces. A sudden increase in any of these three factors (food, fluid and feces) will cause sudden weight gain. 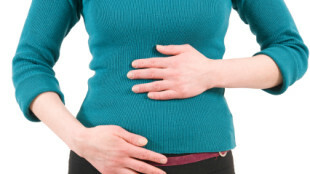 Food that we eat remains in our gut where it is broken down over hours to days. Some of this food is used for energy. Some is used to repair different parts of the body and for different biochemical processes, and some of the food is stored. However, not all of the food that we eat is utilized. The food that is not used will be passed down the gut to eventually be expelled as feces. Almost 70% of the human body is composed of water. Therefore it is a major contributor to our body weight. Lower than normal fluid levels in the body will cause lower body weight and vice versa. Consuming a large amount of fluid suddenly can quickly add to the body weight. It can take hours for the body to restore the fluid levels in the body and the body weight will subsequently return to normal. Normal bowel habit is passing stool anywhere between 2 times a day to at least 3 times in a week. However, a bowel movement does not mean that all of the feces has been expelled from the body. There is still a considerable amount of feces retained within the large intestines for future bowel movements. Undigested food, waste substances and water are constantly contributing to the storage of feces. There are various ways in which there is a sudden increase in food, fluid or feces which can increase the body weight almost overnight. Most of these causes are due to dietary and lifestyle factors. One of the more common causes of sudden weight gain is overeating. This is a voluntary action. For some people, overeating is a daily occurrence. Naturally this will also contribute to fat accumulation in the long term. However, for most people overeating is occasional and often tied to specific events like with festive season meals. The body weight will increase instantaneously after a meal. There a very large meal will increase the body weight by the same number of pounds as were consumed. It is a temporary increase. The body will break up some of this and use it for energy and some will become part of the feces which is eventually expelled from the body. The body is constantly maintaining fluid levels. The thirst sensation prompts us to consume fluids like water and the kidneys ensure that excess fluid is expelled as urine. Various organs, hormones and biochemical processes regulate the body fluid levels as well to prevent fluid overload. Consuming a large amount of fluid suddenly will increase the body weight accordingly. There are various reasons why a person may choose to drink a large amount of fluid. In addition, a large amount of fluid can be administered into the body through IV drops which will also increase the body even without drinking and fluids. Edema is the medical term for swelling. Fluid accumulation occurs in the body cavities and tissue spaces abnormally. It is usually seen when the body’s fluid regulation mechanism is impaired like in kidney disease. Swelling is often seen in the limbs, particularly as swollen legs and arms. However, fluid accumulation may also occur in the organs and cavities within the torso. Some of this fluid can fill the lungs but is more likely to collect in the abdomen. Fluid swelling of the abdomen is known as ascites. Sometimes fluid accumulation may occur throughout the body which is referred to as anasarca. Constipation can also contribute to sudden weight gain. Without regular bowel movements, the feces accumulates in the colon. This can be as much as 10 pounds although some reports claim that there may be as much as 20 pounds of feces in the colon in a constipated person. The weight of the feces is not regularly lost through bowel movements and continued eating increases the body weight. It is therefore important that bowel habit is regular. It is important to first identify the cause of sudden weight gain. Gaining a few pounds after a bout of overeating is not usually serious. The weight is gradually lost with metabolic activity and defecation. However, a few simple measures can prevent and rectify sudden weight gain. Do not overeat or eat to the point of feeling ‘stuffed’. Moderate food intake by eating smaller meals that are nutritionally balanced. Drinking large amounts of fluid is not a problem if the kidneys are healthy. However, people with kidney disease or other disorders where fluid intake should be moderated must maintain daily fluid recommendations. Ensure regular bowel movements by consuming plenty of water and high fiber foods. Also exercise regularly to maintain bowel habit. Weight management should not focus on sudden weight gain or weight loss. Rather maintain a consistent weight management plan of limiting calorie intake in food and expending calories through regular exercise.